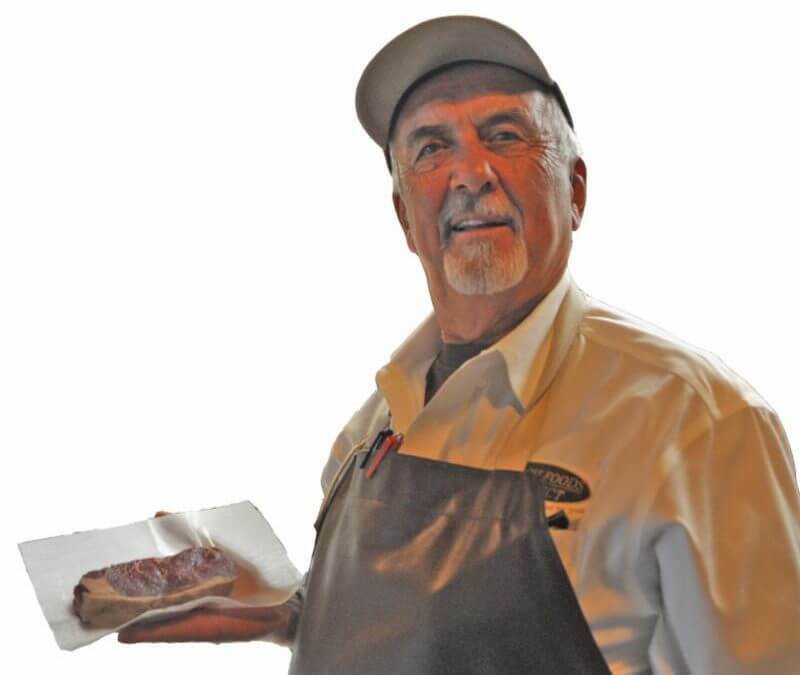 John Nicocia’s decades of experience and his fascinating background have made him a real asset at Ranch Foods Direct, where he has been part of the meat-cutting team for the past two years ago. Here’s more on John. ON WHAT HE GREW UP EATING: “Lots of spaghetti and meatballs; we would make them with ground beef, breadcrumbs, eggs, parsley, garlic, Parmesan or Romano cheese, all of it mixed together with a little bit of wine. You could also put pork or veal in it. I like a combination of ground beef with Italian sausage to give it more flavor. Also lots of fresh fish and pasta everyday. And couscous, since Morocco is so close to Italy. We would make our own from scratch with semolina and water. One popular dish was to steam fish and put it over the couscous with a fish broth to give it flavor, and add some fresh vegetables like mushrooms, cauliflower or asparagus.